Obituary for Wanda Fay (Brewer) Short | Thomas Funeral Home P.A. Wanda F. Short, 69, of Toddville passed away on Sunday, August 12, 2018 at her home. She was born in Texas on February 11, 1949 and was a daughter of the late Harold and Lula Bishop Brewer. Wanda worked with her husband in their janitorial services. 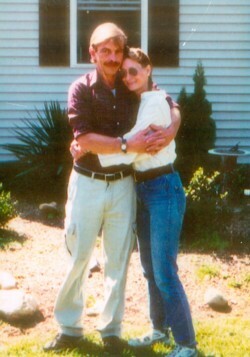 On March 30, 1996, she married William E. Short. She enjoyed knitting, sewing, reading and cooking. She is survived by her husband William Short of Toddville, two children Donald Montgomery of Spokane, Washington, and Sheila Avery of Spokane, Washington, five grandchildren, a sister Olive Walker of Nevada, a cousin Patsy Tallant of Texas and several nieces and nephews. Besides her parents, Wanda is preceded in death a son Robin Montgomery. Pallbearers will be Ira Short III, Ira Short IV, Derek Edge, Mike Racine, Scott Moore and Scottie Moore. Honorary pallbearer will be Russell Moore, Sr.
A funeral service will be held on Wednesday, August 22, 2018 at 12 pm at Thomas Funeral Home, P.A. with Rev. Michael LaClair officiating. Interment will follow at Dorchester Memorial Park. Family will receive friends one hour prior to the service.